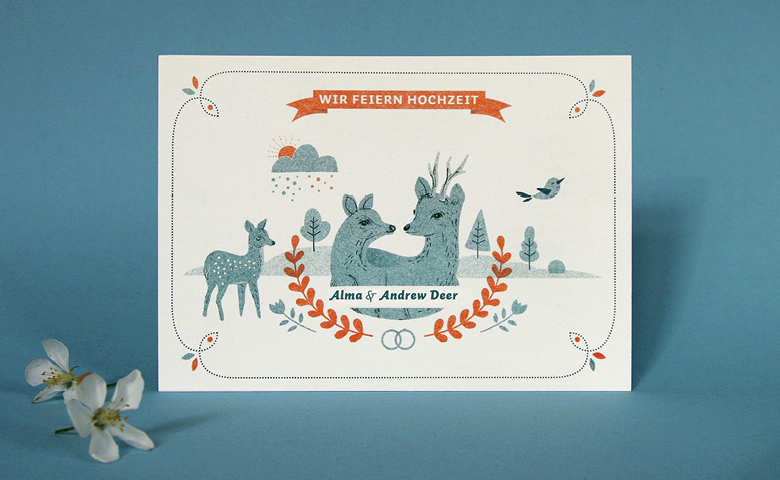 Design of invitation cards for a wedding. 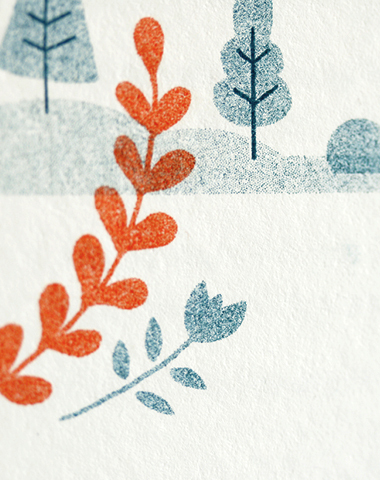 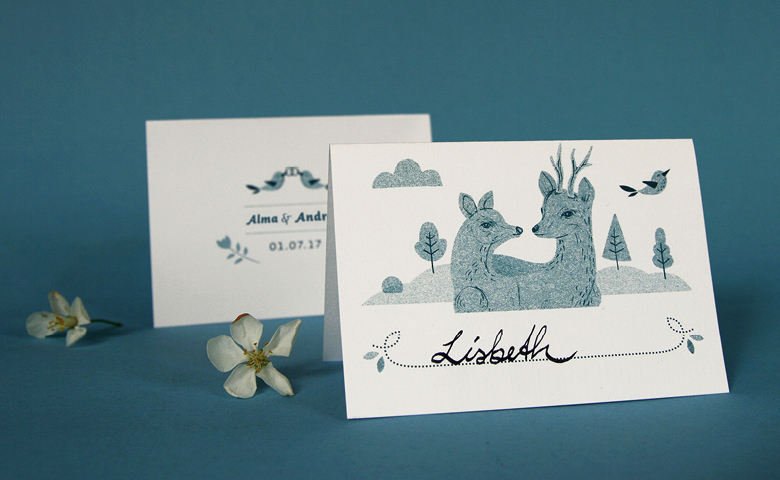 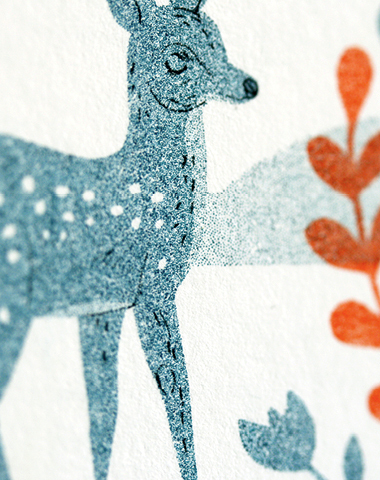 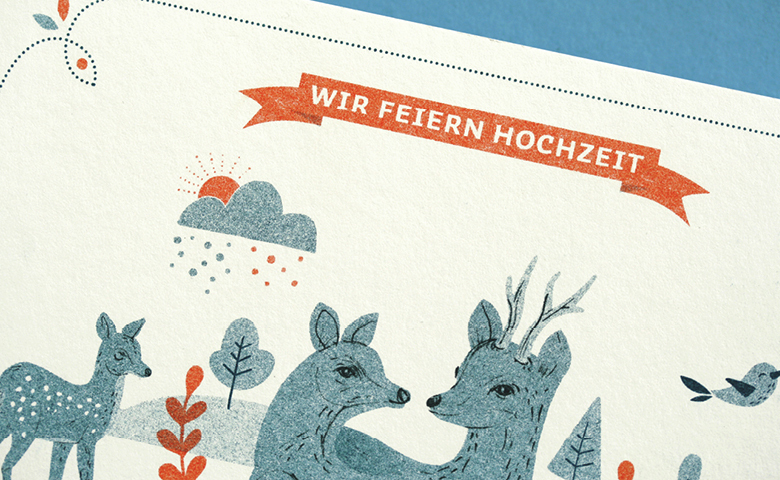 Based on the name »Deer« we designed cards with deers in consultation with the wedding couple. 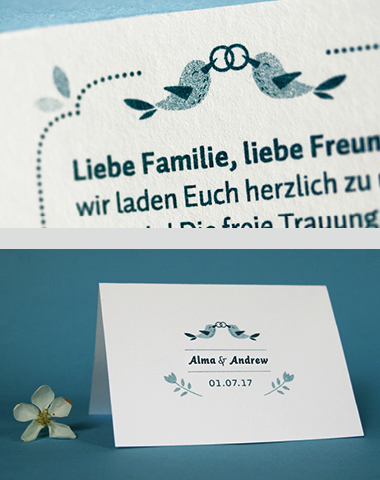 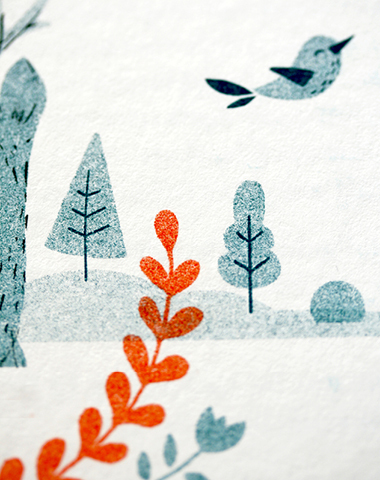 The postcards were risoprinted in 3 colors and are therefore unique.